Thinking to buy new Camera? Want to get rid off to old one? then, here is the deal at Flipkart. 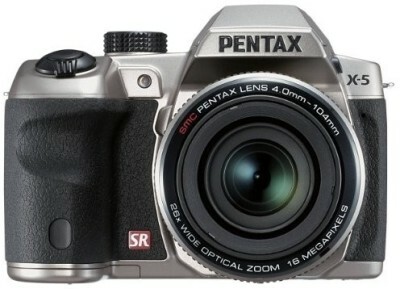 Exchange your old camera and buy new Pentax X5 Advance Point and shoot Camera at Rs 4000 flat discount. The exchange offer is no longer continued. Get this camera now for just Rs 15,200 only. How to avail Flipkart Old Camera Exchange Offer at deal price of Rs 15,200? I want to exchange my sony handycam camera with SLR cameras. Whether any scheme is available. I want sell my Nikon digital camera and re buying of D3200 in Nikon. Please informe me. I want to exchange nikon coolpixl810 camera. I want to exchange my Nikon L120 Camera in a Very Good Condition with SLR cameras. Whether any scheme is available.